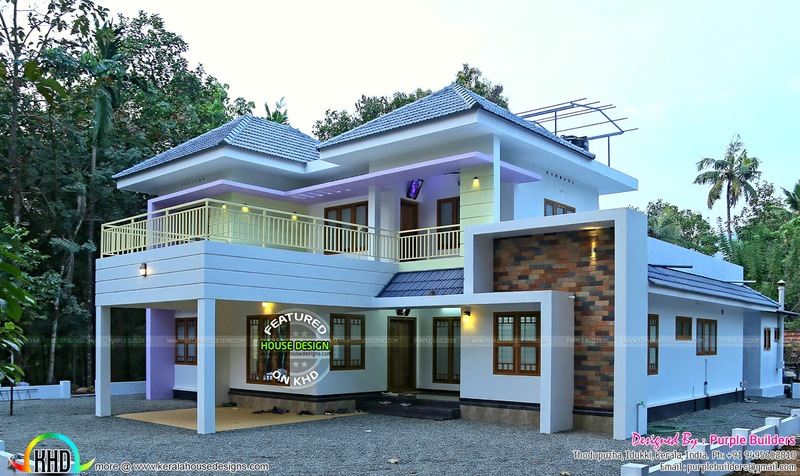 2056 square feet (191 square meter) (228 square yards) two storied work finished house in Thodupuzha, Kerala. Designed by Purple Builders, Idukki, Kerala. Ground floor Area : 1310 Sq.Ft. First floor Area : 746 Sq.Ft. Total Area : 2056 Sq.Ft. 0 comments on "Finished home 2056 sq-ft"